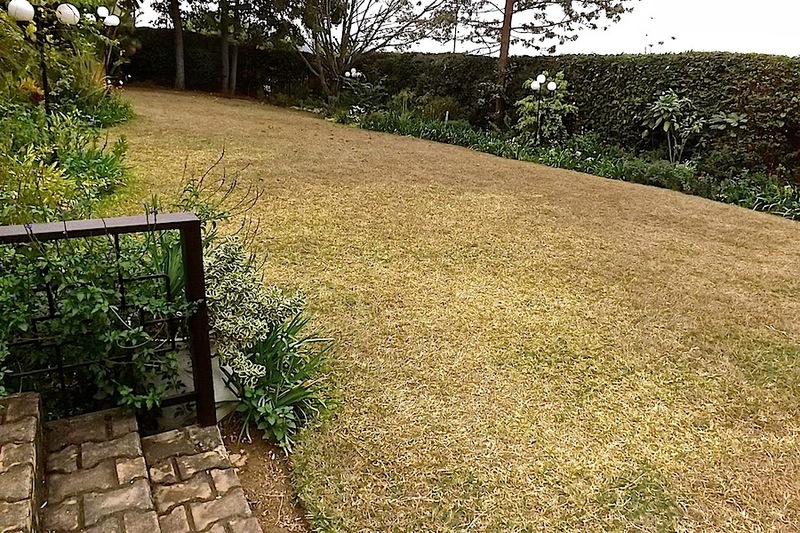 Not much is happening in our garden these days — except that the lawn becomes more and more tan-colored as the long dry season continues. This year, we stopped watering it about the end of June. It seemed wrong to maintain green grass while the hills in our view were brown, and some city neighborhoods were having their water cut off during the daytime. Above is a view of the upper and lower lawns. I took these pictures this morning. The sky was actually full of grey, rather menacing clouds (and dusty haze), and there was some wind. This is not unusual for August, but we haven’t had any rain since May, except very briefly about three weeks ago and almost all night two weeks ago. That last one was nice, and the grass seemed to get a little greener within 12 hours, but it didn’t last. The long rainy season normally begins in early September. We do still water the flower borders, although not very generously. Kniphofia, daylilies, gerbera daisies, lantana, Missouri primrose, and small shrub roses are blooming steadily. But, of course, most plants are in a “holding pattern” and not really increasing in size. I want to make some changes and additions to the borders, but I’ll wait until we have a rain or two. Then, we need to work quickly before the soil becomes too soggy. Below is the lower lawn, looking south at the steps at the center of the lawn. Actually, the tan is kind of pretty. Below, a closeup. I know it will come back, but it’s hard not to get out the sprinkler. 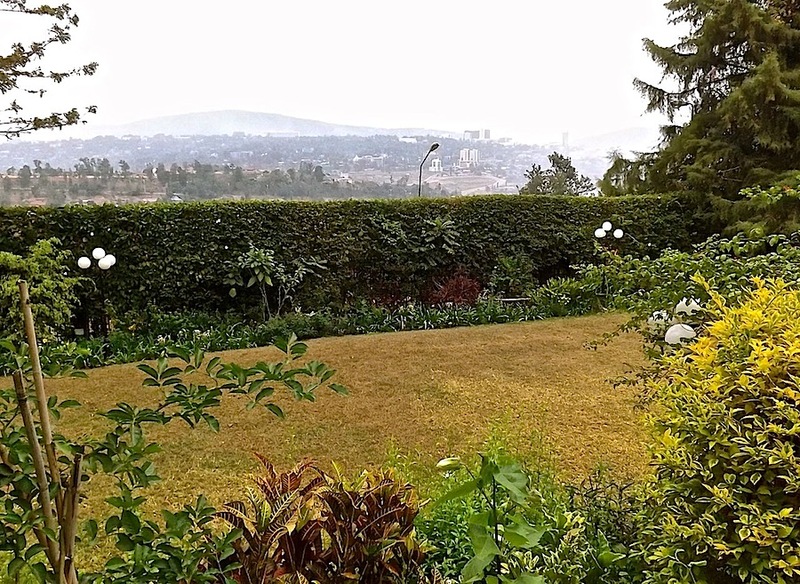 Below, from the upper lawn, looking back across the lawn to the northwest — with a hazy view of central Kigali. I’ve been working more on the vegetable garden lately. This summer winter, we’ve divided it into many small* raised beds instead of a few really large ones. It’s easier to manage now, and the kale, strawberries, basil, dill, arugula, lettuce, and rosemary are doing well — in the photo below. That’s one of our two compost piles in the back. You can just see a bamboo pole sticking out of it. I pull the pole out occasionally and feel it. If it’s warm and damp, the pile should be cooking nicely. 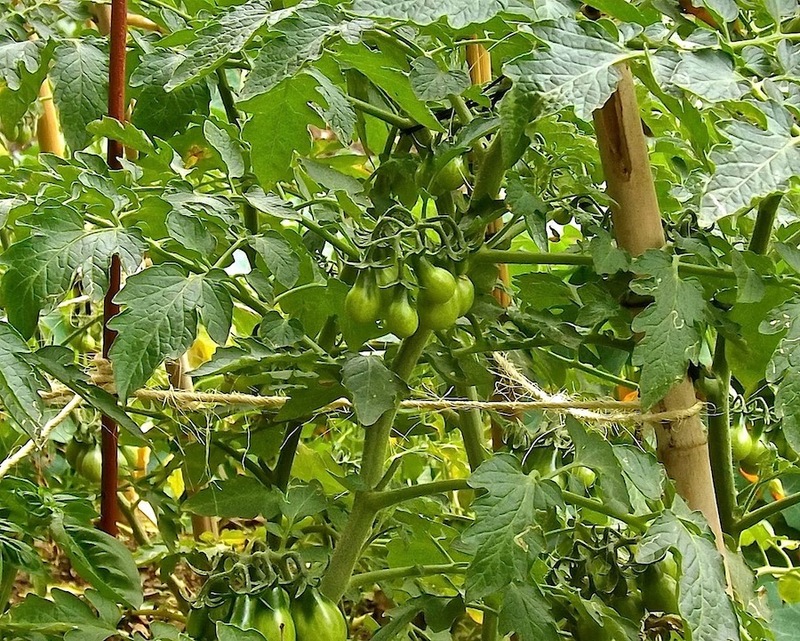 Below are my still-green cherry tomatoes; I planted both red and yellow. The plants look good now, but when the rains start, they may suffer from too little sun and too much water. The dry season (with watering) is a good time for tomatoes and basil, but I should have started them sooner. Finally, below, this is a little sad. 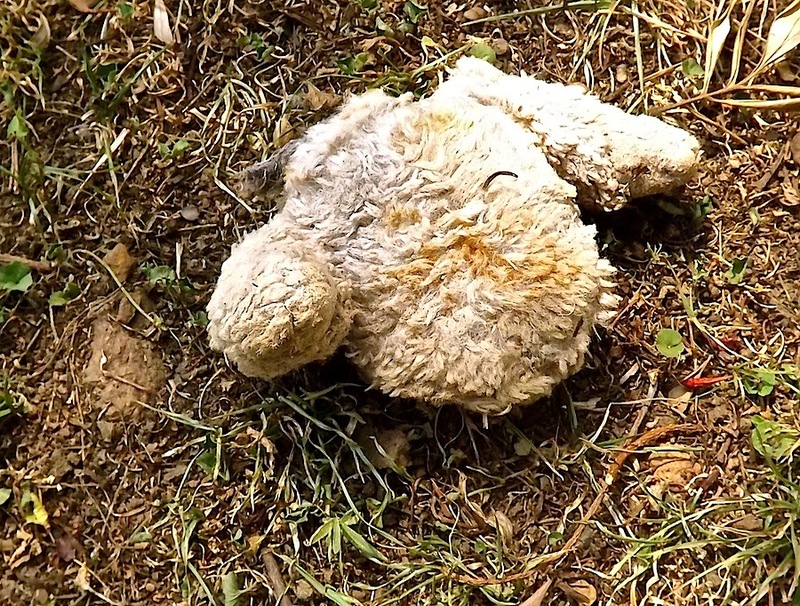 It’s an child’s stuffed toy — no head, no legs — that the hawks in the tree above pushed out of their nest. The nest is at least 3′ across and seems to be made of as much waste paper and cloth as of sticks and twigs. A few weeks ago, I found someone’s bank statement under the tree, complete with name, account number, and balance. It’s now shredded and in the compost pile; I gave this little fellow a burial there too. When we get our first big rain and wind storm, I expect to be picking up all sorts of things. your borders are so interesting and well designed that the ungreen grass makes a foil, much like a sweep of champagne pea gravel, or York stone paving. Thanks! The borders in and around the retaining walls look pretty good, but the long border along the front hedge has been slow to fill in and bloom — since everything there is new, except the shrubs in the back. Letting the grass go tan has actually been quite satisfying, both aesthetically and ethically (although I sometimes have an anxiety attack that it will die). It’s also been great leaving the lawn mower in the shed for two months. Next winter, when the perennials are really well established, I plan to mulch even more and cut back further on watering the planting beds. I wish I could find some ornamental grass to bring the dry season tan/blonde color into the borders. It is, and I’d love to get rid of more of it here, but this is a diplomatic residence, and we sometimes have to pitch big tents for receptions. The lower lawn is exactly wide enough for the tents to be put up without anyone stepping into the flower beds. Otherwise, I would widen the border along the front hedge. Right now, it’s too narrow in proportion to the width of the lawn. I am trying to “heavy it up” with a number of small trees and shrubs. Calgary looks more brown than green most years, but it’s been exceptionally wet this year (yes, with flooding.) We eliminated all the lawn in our yard many years ago, and don’t miss it at all. I just wish the people who look after our trees would quit trying to sell me lawn care! Most of our lawn has to “work” (see above) to earn its existence. Otherwise, no-mow spaces make so much sense (but not for your lawn care company, I guess). 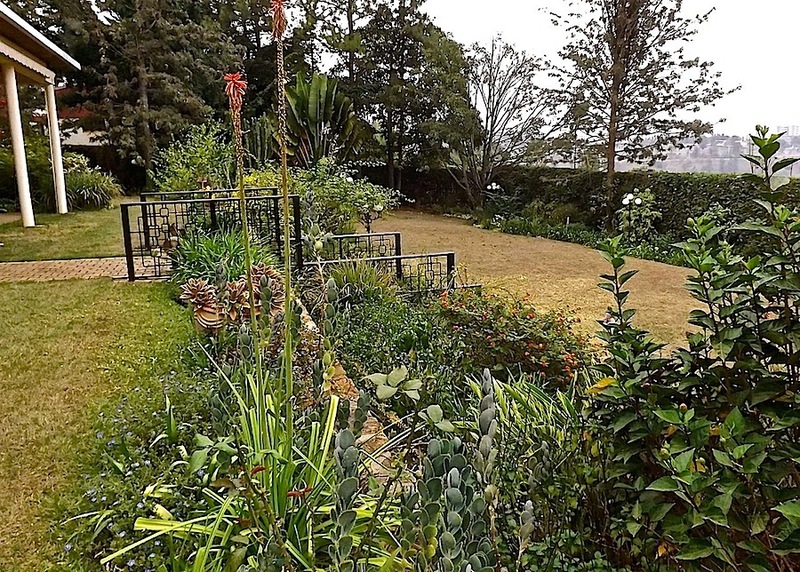 Your gardens look quite nice, despite lack of rain. 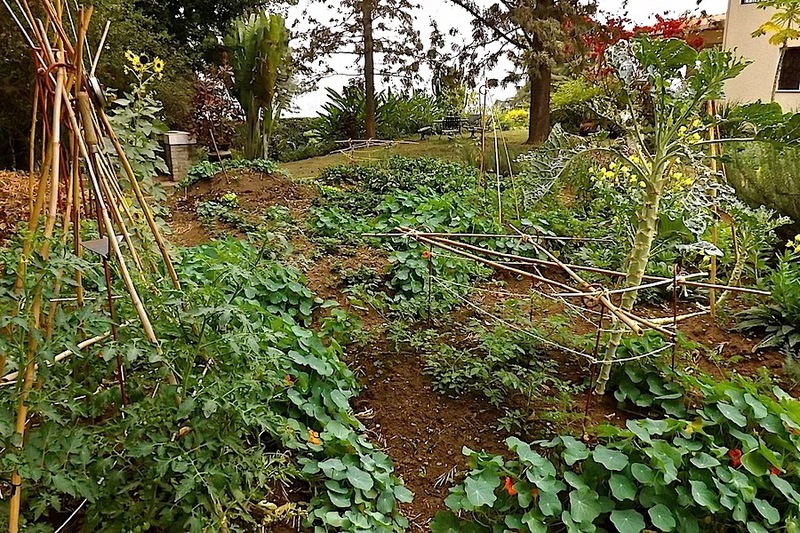 Very attractive vegetable gardens. Thanks! I wish it were a very productive vegetable garden, but it’s improving. 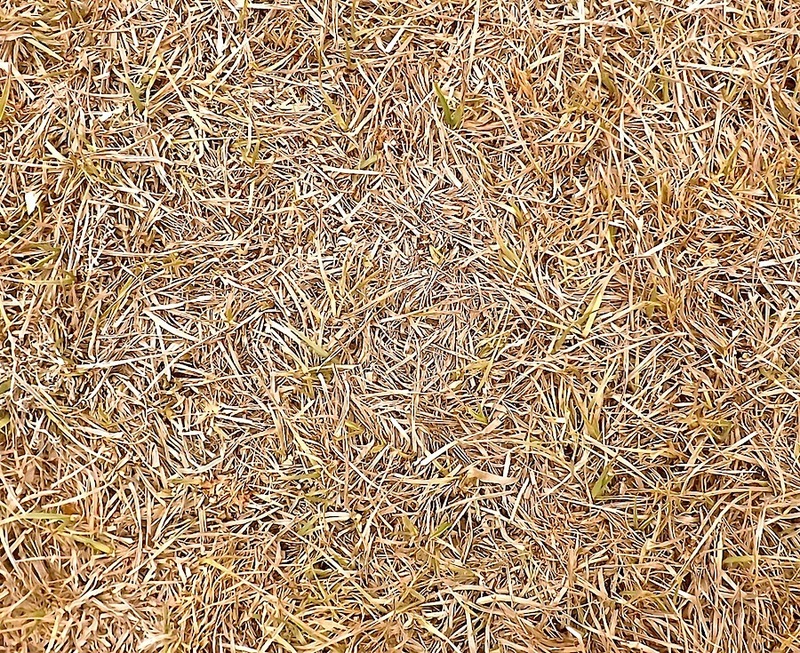 I quite like the brown lawn. But I grew up in Mississippi, and though we tried to water, there were plenty of brown ones. I wonder if you could seed miscanthus to get larger grasses into the borders. I find the self-seeded ones grow very fast. I could try some miscanthus seed. I think my parents’ plants will have seeds this fall. I haven’t tried because ornamental grass does normally take two or three seasons to look like anything. I’ve been using lemongrass ornamentally, but it doesn’t get seedheads or move very much in the breeze.